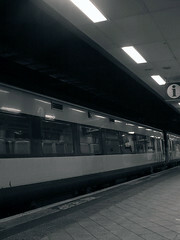 Although I have a wonderful car of which I'm very fond, I prefer to travel by train if I'm going any long distances. It's nice to be able to relax and read or do a puzzle while travelling rather than having to concentrate on the road all the time as you have to do when driving. I'm writing about trains today, as I travelled by train to Plymouth when we went to the Argyle game on Saturday and I'll be travelling by train tomorrow when I attend a meeting in Exeter. On Saturday, the journey to and from Plymouth was easy and fairly comfortable. I hope that the same will apply tomorrow when I go to Exeter.